Antoine Griezmann certainly sought an intriguing method to announce his contract extension earlier this summer, prior to the World Cup. Back then, the Frenchman was embroiled in a saga wherein Barcelona were believed to be on the cusp of landing him from Atletico Madrid. However, the 28-year-old instead chose to remain with his present club, and signed on until 2023. That may have not been the best choice in retrospect, as Atletico’s season is slowly turning sour. In La Liga, they are presently 10 points behind Barcelona, and a Cristiano Ronaldo hattrick ensured their departure from the Champions League last week. 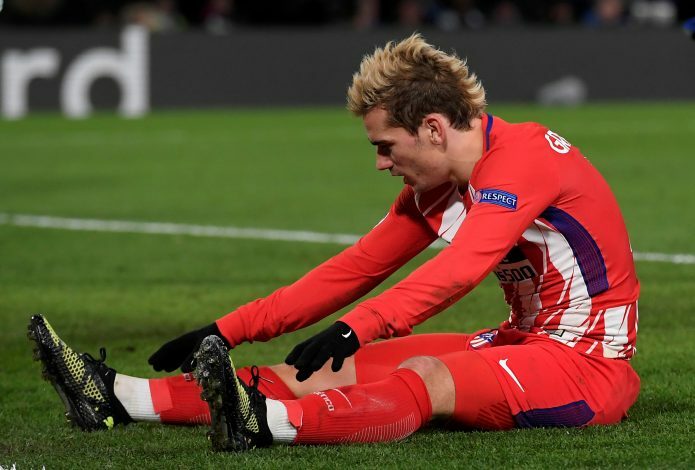 Now, Griezmann may look to rekindle that particular saga, but there is a cruel catch. According to ESPN, the star forward has offered himself to numerous European giants, most notably Barcelona. However, the Catalan club is reported to be entirely uninterested in pursuing him this time around. The report states that Barca are instead looking for a young attacking option to replace the aging Luis Suarez, with the likes of Luka Jovic and Maxi Gomez being linked. As of such, Griezmann no longer fits their bill. Despite claims suggesting that the player is willing to take a reduction in his salary, the €24 million base wage package is still a hefty sum to cut down. To add to the financial burden, his release clause will restructure itself to around €120 million in the summer. Considering his age and relative anonymity this season, it is easy to see why most clubs may not be that invested in making the signing. The report also adds that Griezmann is getting increasingly frustrated at Madrid, motivating options such as a salary cut. Presently, some big earners at other clubs may have to be moved about if players like him are available in the coming transfer window.